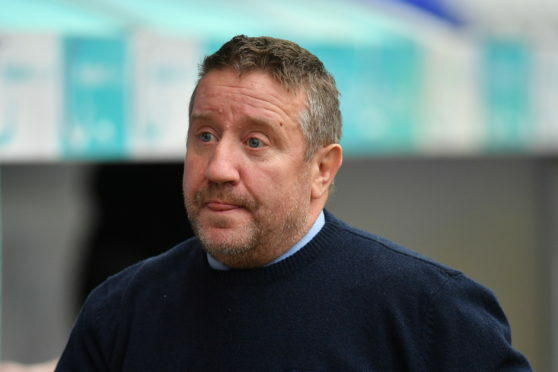 Caley Thistle manager John Robertson has urged the club’s supporters to recreate the away day atmosphere at Caledonian Stadium in a bid to improve their home form. Inverness have shown markedly better form on their travels this season, with only two of the Highlanders’ seven league victories coming at home. Robertson feels the vocal backing his team receives on the road has been a significant factor in their stronger away form, but believes displays on their own patch have not been helped by a less forthcoming home crowd. Robertson said: “We have got a problem at home. The crowd don’t really get behind us, and they can argue that they need something to get behind. I appreciate that, and we didn’t give them anything to get behind against Partick Thistle on Saturday. “When we go away from home we have 150 to 200 fans who are magnificent. From the first minute to the last minute they get behind the team and cheer the team. “We need that at home because you can see our home form is suffering. We have won two and lost three, and drawn the rest. “I have said to the players the challenge for us is to get the crowd excited and give them something to back us with. Saturday’s 2-1 home loss to Partick Thistle left Caley Jags 12 points adrift of Championship leaders Ross County, with Robertson conceding the result spells the end of his side’s title aspirations. Inverness’ focus now turns to their Highland derby Scottish Cup last-16 tie against County on Monday, however Robertson feels his side still have plenty work to do to clinch a play-off spot when their league campaign resumes away to Dunfermline on February 16. Robertson added: “We challenged the players before the game. With the break coming up, we felt Saturday’s game would let us know where we were going to be challenging at the end of the season. “If we had won we would have been challenging for the title, but we now know where we are. We are challenging for one of the play-off spots.